Explore a bubble world full of hidden treasure and exciting sea journeys! 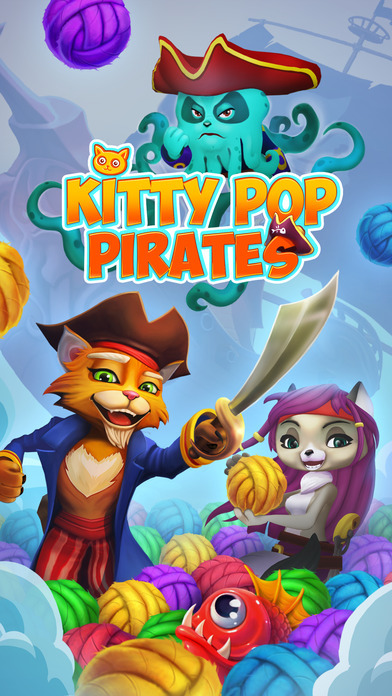 Live like a pirate in a brand-new bubble shooter, Kitty Pop Pirates. The pirate kitten crew has been kidnapped! 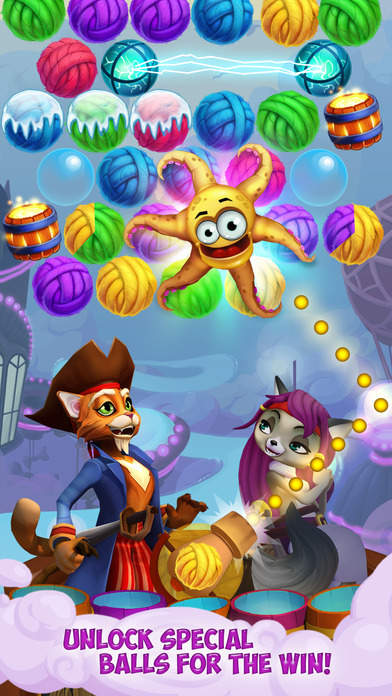 Load your cannons with colourful yarn bubbles, hoist the sails and... Full speed ahead towards an incredible adventure! 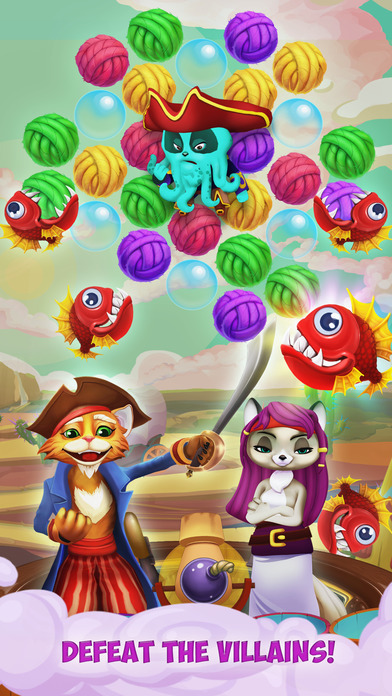 Aim, shoot and pop bubbles to defeat evil pirate bosses and free adorable pirate kittens from their cages. Get ready to travel through loads of amazing worlds in Utopia and sail from one challenging level to another on your own or with a crew of your friends! - Play challenging levels with addictive game mechanics! - Fight against pirate bosses in several different game modes! - Complete goals, unlock hundreds of achievements and claim awesome rewards! 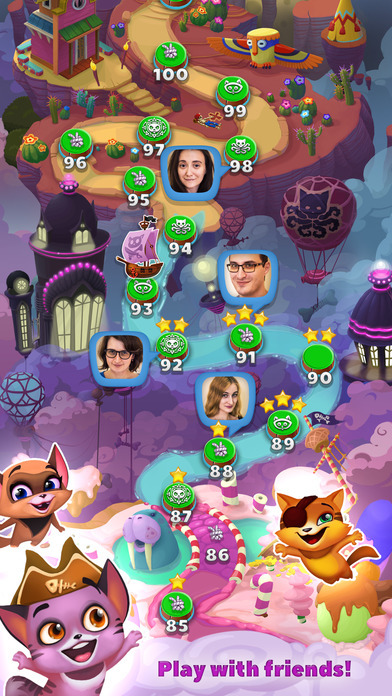 - Unlock collectables, earn prizes and share your progress with Facebook friends! 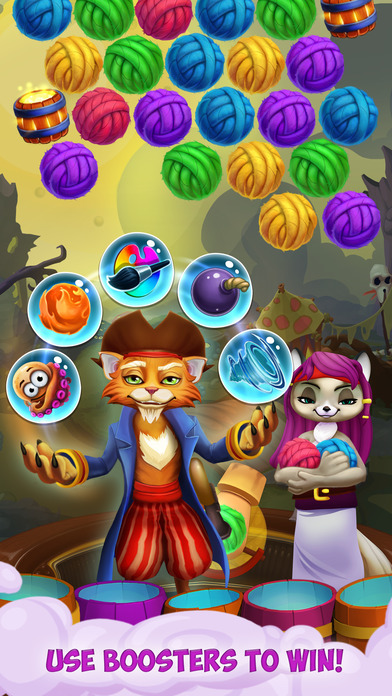 - Shoot bubbles every day and collect amazing daily gifts! - Invite Facebook friends and play together!